I have discovered how much I really likemaking ceramic flowers. 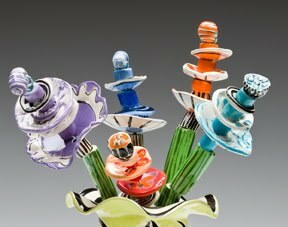 What's not to like...crazy colors, stacking lots of shapes into one piece!Almost like making little totems! So many bits.